Speaking to two independent sources, we now strongly believe that Google's formerly-maybe-Nexus-phones, Marlin and Sailfish, will be marketed as the Pixel and the Pixel XL. We do not have pricing information. At this time, it is unknown to us when Google decided to shift its in-house smartphone brand from Nexus to Pixel or why (though speculation will likely run wild). The Pixel will be the 5" Sailfish device, while Pixel XL will be the 5.5" Marlin. As to our confidence in this information: given that our two sources are independent, and the fact that one in particular has been exceptionally reliable in the past, we feel comfortable saying you can take this to the bank. Coupled with Android Central's breaking story on Tuesday that the phones would not be branded as Nexuses - what else could they even be branded as? Some will say that Marlin and Sailfish's specifications and HTC manufacture don't live up to the "premium" image that the Pixel brand has been associated with to date. 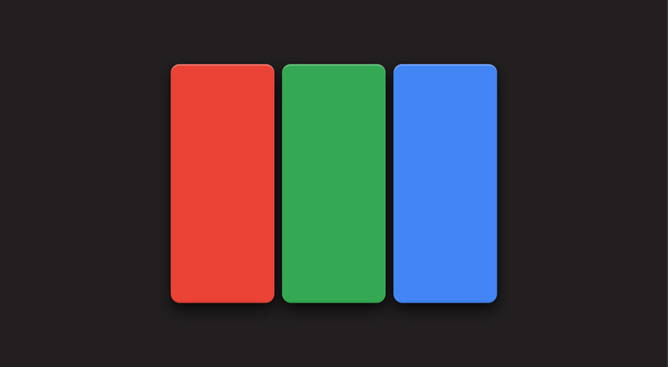 I think that's an interesting topic, and one worth broaching, though I don't think Google themselves have ever truly said that Pixel is supposed to be the very best of everything so much as nice materials and a "pure Google" design and experience. Of course, A9 and Sailfish (now Pixel) associations don't help Google's case with these new phones. On the subject of information that we deem less than completely reliable, one of our sources claims Google plans to market the Pixel and Pixel XL as the first phones built by Google. This seems a bit disingenuous. We remain completely certain the Pixel and Pixel XL will be built by HTC - they'll merely lack HTC's branding. And while Google may be solely responsible for their industrial design, to insinuate that HTC was nothing but a manufacturing partner would probably be fiction. I would not be surprised if that relationship blurs the ODM/OEM lines far more than Google may suggest in its future marketing. But we'll have to wait and see. So, does this mean Nexus is dead? That we can't tell you. Given the Nexus Player has no replacement planned, the latest Google Android tablet is branded a Pixel, and Google's new smart home device Google Home doesn't bear the Nexus moniker, though, Nexus's future does seem bleak. But we don't really know, and it's possibly Google itself doesn't, either. As for the reasoning behind the switch? Given that these new Nexus phones will have the most cohesive and Google-influenced design on smartphones to date, to the extent that the devices will be all but identical in everything but size (plus display resolution and battery capacity), maybe this was the time to make a switch. Or maybe these phones were Nexus devices until former Motorola CEO Rick Osterloh stepped in to unify Google's hardware efforts. Or perhaps this was the grand master plan all along. What gives with all this "Nexus" launcher business, then? It's possible Google was just using the Nexus name as a placeholder, or that the change was recent enough that certain project names simply aren't updated yet. It is rather curious, though. And no, I don't know if they'll have a light bar (but I kind of doubt it, even as cool as it would be).